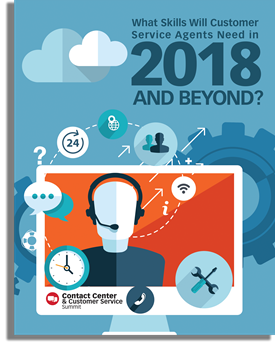 What Skills Will Customer Service Agents Need in 2018 and Beyond? The predictions for 2018 are continually rolling in, well into 2018, and one trend that continues to stand out is that 2018 will be the year of customer service. Your company's customer service agents stand on the front lines of delivering that world-class experience during each and every call. Here's a closer look at where to invest to help take your team's skills to the next level. Your VIP invite includes executive hotel accommodations, meals and refreshments, and event workshops. Mention BEYOND when registering and receive complimentary hotel accommodations for both Sunday and Monday nights.